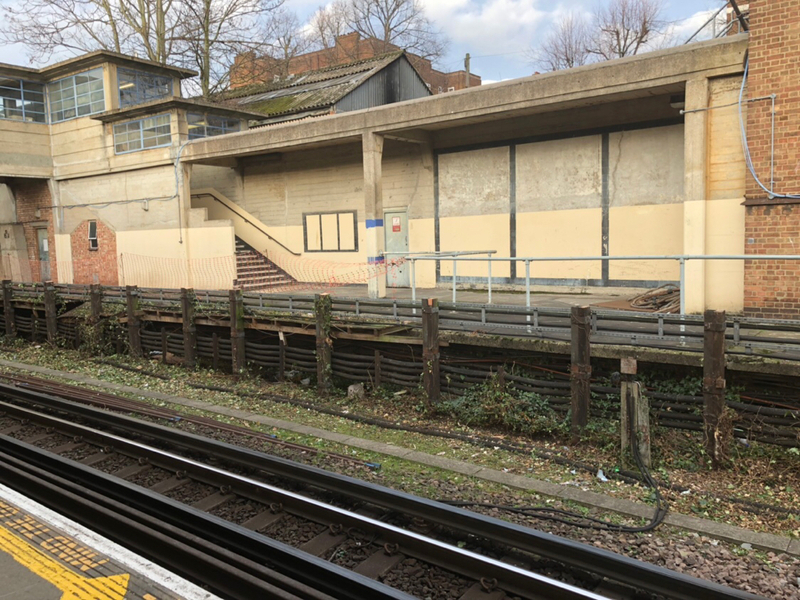 The advertising hoardings facing platform 4 at Acton Town have been removed revealing the entire disused platform 5 formerly used for the South Acton Shuttle. I also came across a short film on YouTube which is quite interesting. Does anyone on here remember it running? Yes, I remember travelling on the shuttle, several times in the late 1950s - just for the fun of it! IIRC the G23 car had hand-worked doors right up to withdrawal of the service at the end of February 1959. Although I never travelled on it, I believe the two G23 cars had air doors. They were controlled by the motorman. There was no guard on this service which in fact was the first instance of OPO on the system. Dual copper wires usually found on below ground sections of the network were carried along the length of the line to allow the driver to communicate with the controller. The cars were limited to series on the master controller due to the length of the run. The two cars were 4176 and 4167 and were cut up in Poplar in 1959 after withdrawal being significantly different to the rest of the Q stock fleet which was not far from its initial withdrawals. Never travelled on it but saw it running when passing South Acton on the North London Line, which I used to travel between home in Highbury and Gunnersbury. My school, based at Angel Islington, used the North Thames Gas rowing club at Kew Bridge for rowing. Like rdm, I travelled on the shuttle (just once) to experience it and to tell my friends at school that I had done it. However, I often saw it in the 50s, either on a bus-spotting expedition to Chiswick Works or on my way to watch the mighty Fulham at the Cottage. It has been said that the 2 cars operating the shuttle (4167 and 4176) were selected for conversion on the basis that if the numbers were scrambled and the wrong car allocated, it wouldn't matter. Does anyone know if that is folklore or fact? I believe the two cars were selected on the basis that the numbers were similar to aid identification. As the Q stock was car stock it would be quite common to have odd cars hanging around Ealing Common. What was the origin of the name 'Ginny"